The programme for the FEHRL Infrastructure Research Meeting 2013 (FIRM13) is coming together nicely - have you reserved your place? Make sure you are among the leading infrastructure innovation and research experts to attend the FEHRL Infrastructure Research Meeting 2013 (FIRM13) on 4-6th June 2013. The Infravation programme has launched a call for exhibitors for the first Road Infrastructure Innovaton Expo on 4-6th June 2013 in parallel with FIRM13. Chairman of ETRA appointed Co-Chair of TRB International Activities Committee at the Transportation Research Board (TRB) 92nd Annual Meeting in Washington DC from January 13-17th 2013. 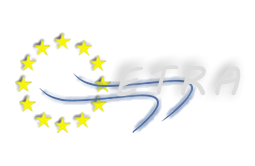 Final DETRA project newsletter gives details on DETRA reports and ETRA launch reception.